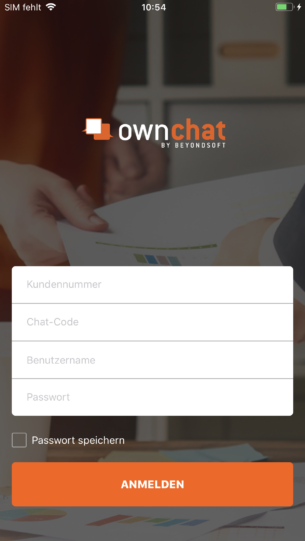 The BeWoPlaner app allows employees to communicate, exchange data, and conduct group conversations in a secure and safe environment. 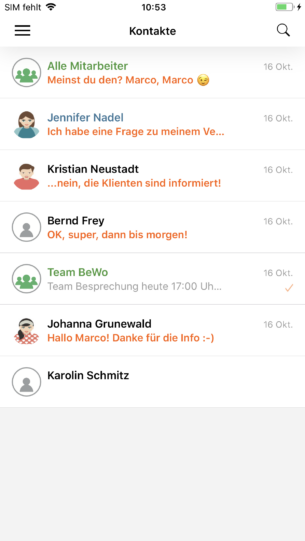 The BeWoPlaner app allows employees to communicate, exchange data, and conduct group conversations. 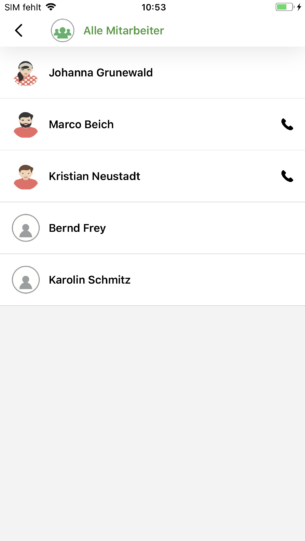 Discuss complex topics worldwide and easily by starting a call with your colleagues in the App! The introduction of this app helps companies to promote enterprise-wide collaboration by bringing employees together. Voice calls: You can call colleagues worldwide and discuss complex topics with them. Contacts: You always have the contact information of your colleagues at hand. 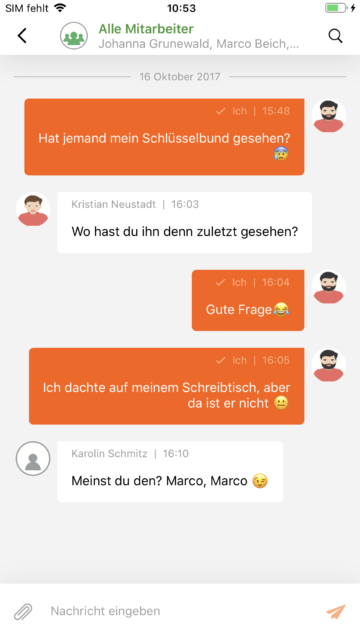 Chat: If you want to chat with a colleague, simply send a message. Group chat: For more complex topics, there is the group chat. Here you can discuss a topic with several people. Files: Send uncomplicated presentations or videos via the app.